UU in Covenant... what does "in covenant" mean to us? 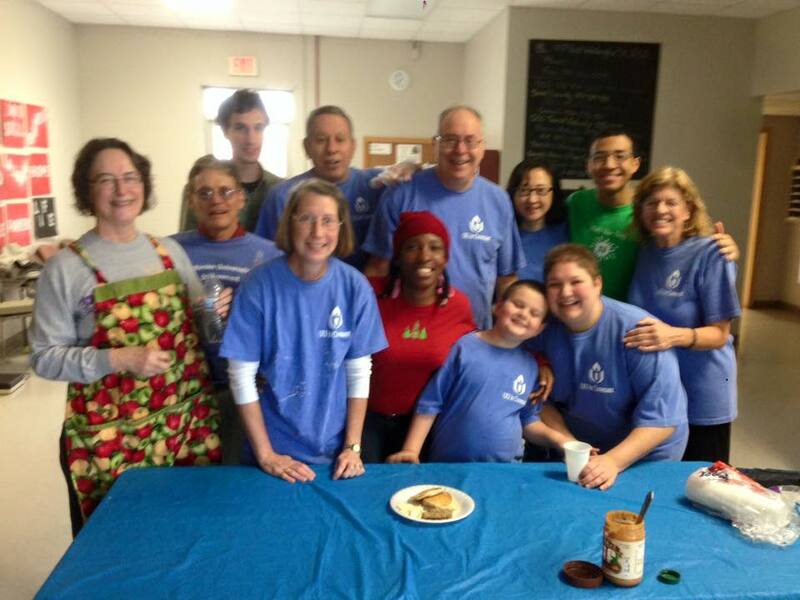 Get involved to help promote our commitment of service to Greensboro and beyond. Being a military wife for over 20 years meant moving and having to find a new church home in every new location. This is the 7th UU church we have attended together. Some have been large churches with over 500 hundred members, and some have been small ‘lay led’ groups like this one. 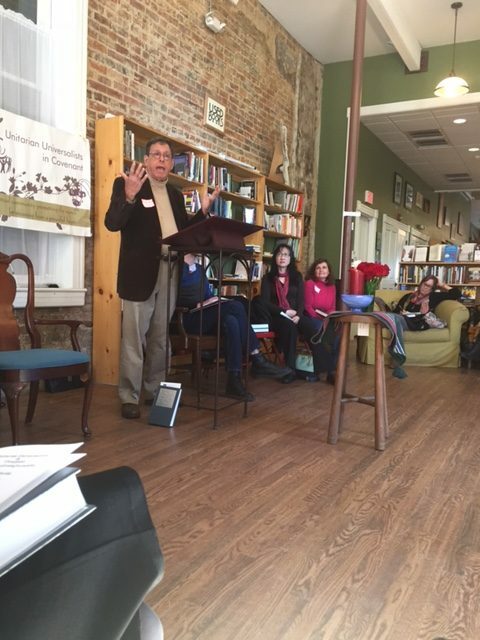 I happen to like the small groups as there is more opportunity to really connect with people and create a close-knit community. This is a special group with varied interests. It makes me happy when I see everyone on Sunday mornings. Quite simply, I was looking for a small, inclusive, and service-oriented religious community that did not rely on dogma or guilt as weapon. I enjoy being amongst free thinkers and people who question their role and the roles of others. I wanted my community to be one populated with people who wanted to know the truth and then would question the truths that they know. People committed to others and where others committed to them. Plus, somewhere small and with a high quality of programs that tested my beliefs every time I attended a service. And I am proud to say I found all of the above in UU in Covenant. Plus so much more. And it is so cool that it is in a bookstore. An added plus. I have been a member of UU in Covenant since its inception in 2010. This UU community is my spiritual home. 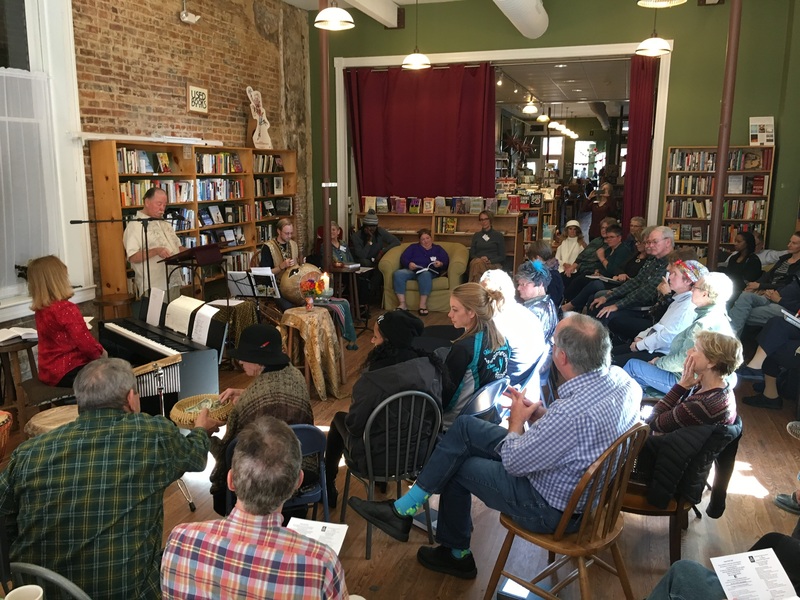 Every Sunday when I meet at Scuppernong books with this fine group of people, I am challenged to find meaning, supported in my quest to understand more fully who I am and my role in the universe and welcomed by a loving community. I would describe myself as an evolutionary mystic who is seeking to live my life to promote the continual evolution of this universe in a positive way. I look forward to our Sunday gatherings. I may begin the service with joy or with sadness but I always leave feeling inspired to live a fuller life. I am very grateful that I found this supportive community right after I just moved to Greensboro because of my work. I have previously heard about UU from very good friends and decided to give it a try. People are very friendly and easy to talk to. I especially like the services because they always make me think. Growing up I had no formal religious training. My parents were Jewish, divorced when I was young and both remarried individuals who were Catholic. When my son was 9 or 10, I wanted him to have an understanding of the religious experience that I did not have -- Unitarian Universalism was the solution providing a diverse and open-minded religious theology not only in thought, but in practice. Twenty plus years later, I realized that I had found my religious home. The UU experience has filled in an open space in my circle of life.